As the London Olympics come to a close, over 150 million tweets have been sent about the games. Usain Bolt was the most talked about Olympian, but the UK’s own Spice Girls set a new Olympic record of their own by inspiring 116,000 tweets per minute during the London 2012 closing ceremony. Twitter has broken out the stats on its blog, noting that the 150 million tweets went out over the past 16 days. During actual athletic competition, Jamaica’s Bolt was the hottest topic, garnering 80,000 tweets per minute (TPM) during his gold medal-winning 200m sprint and 74,000 TPM during his 100m run. Andy Murray brought in the third-highest count during the actual games by attracting 57,000 TPM after winning the gold medal in men’s tennis singles. Michael Phelps and Tom Daley came in behind Bolt as the next most discussed athletes at this year’s Olympics. A total of 10 Olympians inspired more than 1 million tweets each. The most popular sport on Twitter was football with over 5 million tweets. Swimming, track and field, gymnastics and volleyball also generated plenty of discussion. 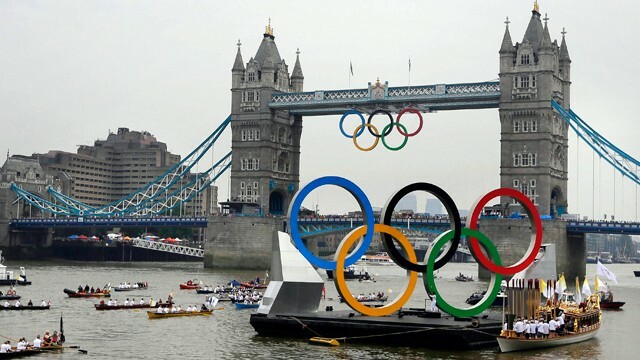 The London Olympics have been described as the first “Social Olympics,” and Twitter’s new records confirm the active influence of social media on the games. The opening ceremony inspired 9.66 million tweets, and the first 24 hours of the games saw more tweets than the entirety of the 2008 Summer Olympics in Beijing. London 2012 also had a tweet scandal when a journalist was suspended for tweeting the work email account of an NBC executive. Twitter wasn’t the only social service that Olympic fans took to. Chinese fans were highly active on Sina Weibo’s microblog, posting 119 million messages about the Opening Ceremony alone. China also got its own tweet drama when a tech luminary posted the personal information of a US swimming coach in response to comments by the coach that a record-breaking Chinese swimmer may have used performance-enhancing drugs. Read Twitter’s post for more interesting stats on Olympic tweet habits.